The Cloudburst Group provided Prince George’s County with assessment, guidance, and new tools for effectively managing several of their Community Planning and Development (CPD) funded programs, including: the Community Development and Block Grant (CDBG) Program, the HOME Investment Partnerships (HOME) Program, and the Emergency Solutions Grants (ESG) Program. 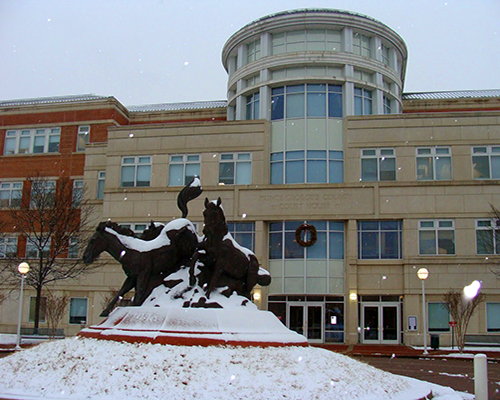 Prince George’s County Department of Housing and Community Development (DHCD) came under new leadership in 2012 and immediately sought assistance to overcome substantial challenges in running its CPD-funded programs and to identify ways to maximize its effectiveness in revitalizing neighborhoods, including those neighboring jurisdictions requiring a higher level of planning and coordination. The new leadership struggled to establish new direction while simultaneously addressing issues created by the previous administration. The Cloudburst Group assisted the County in resolving urgent needs, providing work such as guidance on Integrated Disbursement and Information System (IDIS) to set up project activities. The Cloudburst Group worked with staff to complete a comprehensive Needs Assessment (NA) to identify areas of weakness in the administration of the County’s HOME, CDBG and ESG programs. The Needs Assessment report served as the basis for Direct Technical Assistance (TA) provided to improve program performance. Utilizing process mapping to assess DHCD’s existing organizational structure, the Cloudburst Group also developed a new Policies and Procedures Manual (PPM) for the County’s CDBG and HOME Programs to aid effective, lasting program implementation and compliance. Successful meeting of both the County’s CDBG expenditure deadline and a HOME commitment and expenditure deadline through a newly designed project management process as defined in the Policies and Procedures Manual.